If your house guest told you how to make more money, would you listen? I’ve had guests tell me how to plant flowers or get a better deal on Stampede tickets but never a suggestion on how to make lots more money. But Sarah Sortum (nee Switzer) got such a tip. A visitor to her family farm in the Nebraska Sandhills said people would pay to see prairie chickens and sage grouse if they had any on the farm. Would you bet your future on a wild bird? The Switzer Ranch is a long ways from airports and urban centres. They like it that way but were skeptical that people would make the trip and pay for the privilege of bird watching on their ranch. Sarah wanted to move home with her husband and children and needed an income source so she was willing to take a risk even if betting her future on a wild bird wasn’t conventional business wisdom. If you’re wondering whether the gamble paid off, read the full story here. If you’re not sure what a prairie chicken looks like, you’re not alone. Once plentiful on the North American prairies, they’ve become less and less common. 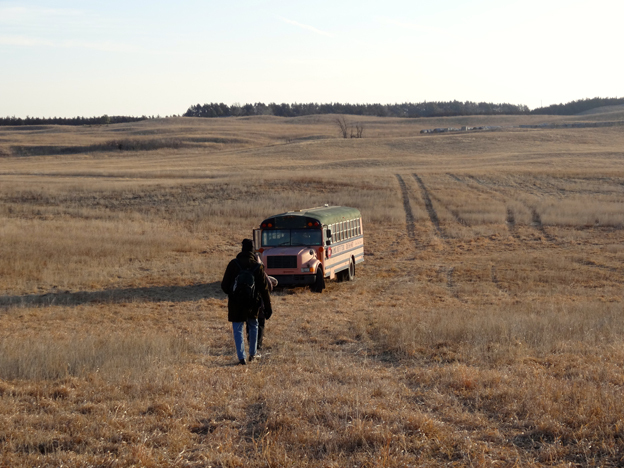 The land that prairie chickens like is also the land we like but too often we can’t co-exist. 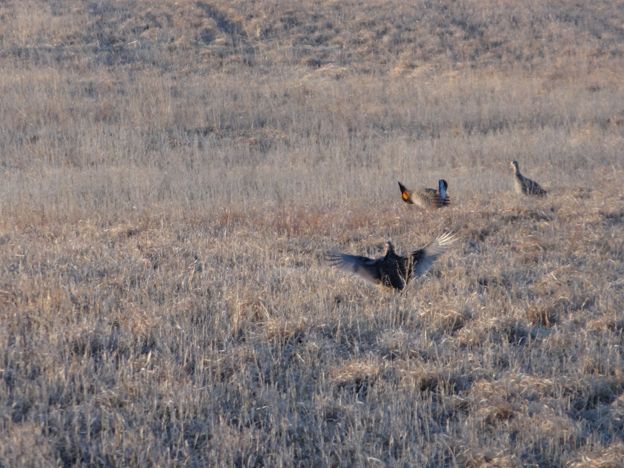 So when nature lovers find a undisturbed prairie habitat with prairie chickens they know a great show is close by. For most of the year this little bird has the charisma of a tax accountant (sorry, tax accountants) but come mating season, the prairie chicken puts on an impressive drumming display that bird watchers love to see.